A recount begins Thursday in Wisconsin, where Donald Trump currently holds a lead of 27,257 votes over Hillary Clinton, after the Green Party’s Jill Stein formally filed a recount request. It’s up to each of the state’s 72 counties to decide whether to do the recount by hand or by machine. Stein had pushed for a statewide hand recount of the ballots, but the commission voted that down. She sued the Wisconsin Elections Commission to force a hand recount but the Dane County circuit court ruled against her because of the lack of hard evidence cited that voting machines had been hacked. Stein is not appealing the decision because there is limited time to complete the recount, which must be finished by Dec. 13. 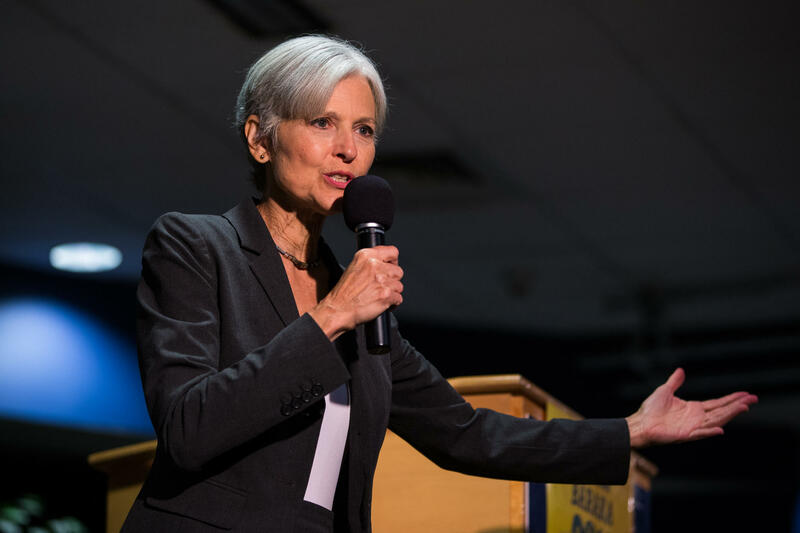 The Wisconsin Elections Commission announced that it received Stein’s petition last Friday, and it received the $3.5 million fee from her campaign on Tuesday. “The Commission is preparing to move forward with a statewide recount of votes for President of the United States,” Wisconsin Elections Commission Administrator Michael Haas said in a statement. The recount begins Thursday, after the Stein campaign paid the $3.5 recount fee earlier this week. The total cost of the recount will come to almost $3.9 million, Wisconsin state election officials estimated on Tuesday. Stein’s campaign is only responsible for the $3.5 million it has already paid; the additional costs will be covered by the counties themselves. Haas noted in the commission’s statement that the last statewide recount was in 2011 after the Supreme Court election, and that cost over half a million dollars. That election had about 1.5 million votes, roughly half as many as the 2016 presidential election in Wisconsin. Over 100 reporting units from across the state have been randomly selected for audits of their voting equipment -- this has already begun. All ballots will be examined to determine voter intent before being retabulated, the statement said. And the canvassers will also examine poll lists, absentee ballots and provisional ballots as part of the recount. Should the candidates disagree with the result of the recount, they are able to appeal in circuit court within five days of the completion of the recount. Hillary Clinton and Donald Trump have yet to weigh in on the effort. Stein is seeking recounts in three states: Wisconsin, Pennsylvania and Michigan. Michigan has not yet been called, and it’s the closest of the three states. If the three states were to move into Clinton’s column, she would win, with 278 electoral votes, but this seems very unlikely. It’s rare that recounts change the result of a race. Wisconsin, worth 10 electoral votes, has never held a presidential recount, but the effort isn’t without precedent. In 2004, the Green Party did succeed in obtaining a recount in Ohio in the presidential race. The New York Times noted at the time that the statewide recount of Ohio’s 88 counties resulted in a net difference of 285 votes, meaning that George W. Bush beat John Kerry in Ohio by 118,457 votes, instead of 118,775. The recount concluded on Dec. 28, 2004, nearly two months after the election took place.